HOUSTON (KTRK) -- Check out a free 'Jurassic World' screening, plus plenty of fun for Independence Day in this week's Free Stuff Friday. In this thrilling installment of the 'Jurassic Park' franchise, two young brothers visit their Aunt Claire, a theme park executive at Jurassic World. 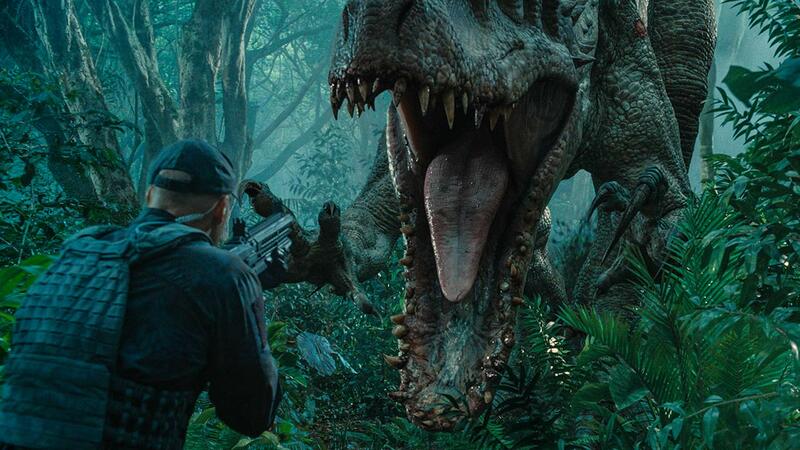 Populated with genetically resurrected dinosaurs, chaos erupts in Jurassic World when a newly created dino escapes its enclosure, forcing these three--along with park's animal behaviorist Owen Grady--to save the day. Rated PG-13 for intense sequences of science-fiction violence and peril. Celebrate Independence Day with live music, crafts and food booths. Kids can enjoy jumping castles and bungee jump, plus gather the family for a traditional fireworks display at 9pm. The July 4 weekend welcomes four nights of concerts to CITYCENTRE plus an Independence Day fireworks spectacular that you don't want to miss! This summer, the Houston Symphony returns to Miller Outdoor Theatre with five FREE concerts, including our annual Fourth of July celebration, Star-Spangled Salute complete with fireworks courtesy of Miller Theatre Advisory Board. The family-friendly "Exxon Mobil Summer Symphony Nights" bring audiences the sights and sounds of Houston's symphony. For many Houstonians, July 4th just isn't complete without Tchaikovsky's rousing 1812 Overture, punctuated with cannon blasts! Nothing says "summer on Galveston Island" better than the 4th of July! Don't miss this wonderful evening with a glittering parade followed by a dazzling fireworks display over the Gulf! The parade will kick off at 7:45 p.m. with a procession on Seawall Boulevard starting at 41st Street and ending at 12th Street. After the parade, the island will host a 20-minute fireworks show over the Gulf of Mexico at 9:15 p.m. near 37th Street and Seawall Boulevard.